A free-ranging talk about what we know and what we can conjecture. 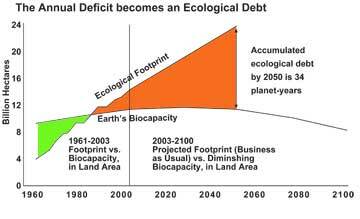 Fact: our petroleum civilization is about to enter into its natural decline phase and, if the transition to a solar income economy and much warmer climate is not well managed, the global food and water supply that supports our unprecidented human population could rapidly collapse. Most people arrive at this understanding with a sudden realization. Hurricane, sea level rise, prolonged drought, scorching heat, or the high cost of water, power, and gas may provide the wake-up call. And the reaction is entirely predictable. This is a new reality, completely contrary to our life plan and preparation. The normal response is denial, then debate, then acceptance, with a mix of panic and dread. Relax. Breathe deeply. It doesn't need to be that bad. The great change will be wonderful. The triple whammy of peak oil, climate change, and the population bomb will change the world as we know it, in a very short amount of time. The economic development model of unlimited growth and expansion was fueled by the one-time-only exploitation of fossil fuels and the natural resources and the habitable climates of Africa, Asia and the Americas. That will soon be gone. There are a dozen or more tipping points that if reached, could end life on Earth, possibly "forever" (although recolonization by fungal spores floating through space, or by an expedition of beings evolved from microbes deposited by the Pathfinder spacecraft onto the surface of Mars in 2007 cannot be excluded), There is also the possibility, admittedly a long shot at this point, that humans could become the tipping point that stabilizes global climate and wins us another shot at making piece with Gaia. Sunday, August 12, 2007, at 19.30 - 7:30 pm. That is where David Blume's permafuel formulation comes in. I recently got into an argument with the author about population sustainability. 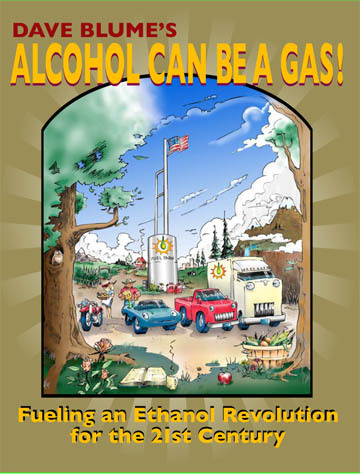 We went around about "what good is it to put people in ethanol-powered cars if by doing so they can postpone addressing the fundamental problem of consumer society." After assuring me that he understood the point made by Bartlett, and the relationship between development, womens' rights, infant mortality, senior care and fertility, he reminded me that his prescription of small-scale, polyculture ethanol production bore little resemblance to the industrial, mechanical, globalizing production meme. Localized societies, whether island cultures, forest cultures, mountain cultures, or whatever, do not tend to overpopulate. They stabilize at equilibrium with their resource base. Local fuel production is inherently population-stabilizing, if for no other reason, because water supply is a limiting factor. 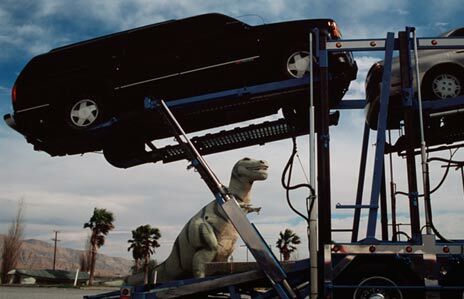 It seems unlikely that most of these cultures will start giving their cars away to car donation anytime soon. Albert Bates is a permaculture and appropriate technology instructor at the Ecovillage Training Center at The Farm community in Summertown, Tennessee and a consultant to ecoaldeas in Quintana Roo. 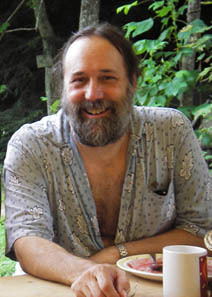 One of the founders of the Ecovillage Network of the Americas (1994) and the Global Ecovillage Network (1995), he is author of eleven books, including Shutdown: Nuclear Power on Trial (1979) and Climate in Crisis: The Greenhouse Effect and What We Can Do (1990). His Post-Petroleum Survival Guide and Cookbook: Recipes for Changing Times (New Society 2006) envisions the world as it will be transformed by peak oil and climate change, and offers a prescription for re-inhabitation. The Post Petroleum Survival Guide and Cookbook: Recipes for Changing Times has been named by ForeWord magazine as one of the Ten Best Environmental Books of 2006. ForeWord is the leading trade magazine for libraries and booksellers in the USA. If human population is the mother of all hockey sticks, then a prescription for re-localization by becoming regional food-and-fuel specific should bring population back into equilibrium. Brock Dolman has a slide show in which he puts up an image of a lifeboat and then he matches the shape to an image of a watershed valley. Watersheds are our lifeboats. In the Copper Age, every valley in Europe had a distinct culture. Local economies, dependent on local resources, squeeze more solar income from every photon and use it wisely, returning parts of every harvest to rebuild the resource. Alcohol Can Be A Gas! goes beyond helping the mechanically adept convert their internal combustion engines to ethical fuels. It provides clear operating manuals for the farmers who will grow those fuels, the fermenters who will build and operate the stills, and the artisans who will create and trade myriad co-products.